Prime Minister Hun Sen continued to call on authorities at all levels to maintain neutral climate in order to ensure fair and transparent electoral process. The statement was made on Thursday, addressing to 30,000 workers from 25 factories in Kandal Province’s Ang Snoul district. 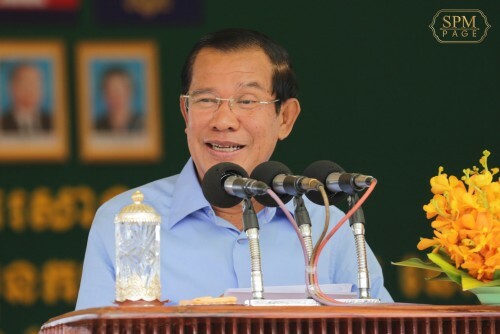 Prime Minister Hun Sen reminded that all the 20 registered parties and candidates shall not use state budget, petroleum, and any other state properties during the electoral campaign. He also called on all media to lease hours to all political parties at the same price as the Cambodian People’s Party for their propaganda; and urged the national television to provide equal time for broadcastings to all political parties during the campaign. The July’s election will be held on 29 July 2018. All the 20 political parties will participate in the 21 days of electoral campaign from 7-27 July 2018.